Our loveable, rich duo have returned from a long-overdue vacation, only to find that the city has built a waterpark on the beach where they hid their treasure! Help the boys destroy the waterpark so they can dig up their treasure – their livelihood – for safer keeping. Similar to the previous version, in Raft Wars 2 you are equipped with a small, one-person raft for each of the characters, a cannon for launching ammunition, and a variety of ammunition to choose from. You begin the game with only the basic materials needed: two small rafts, one launcher weapon, and tennis ball ammunition. As you progress and complete each level’s objectives, you can earn coin to help you upgrade your equipment. Prices range from $200 all the way up to $2500. 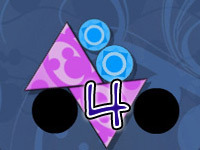 The first level of the game is easy, and is designed to teach players how to play the game and use the controls. For instance, your only objective in the first level is to shoot down the paint can that is sitting on top of a tower. Completing this mission will grant you $300 in-game gold, which is enough gold to purchase the next available ammo type. As previously mentioned, you can purchase in-game items to help you progress through each level by completing levels and earning gold. There are five different items that you can purchase and upgrade in the game shop: hand grenades, missiles, pellets, better rafts, and helmets. While the helmets may make your feisty characters look like war-ready Vikings, they are incredibly helpful throughout the game to help defend yourself. Each of the ammunition types can be upgraded up to three times. 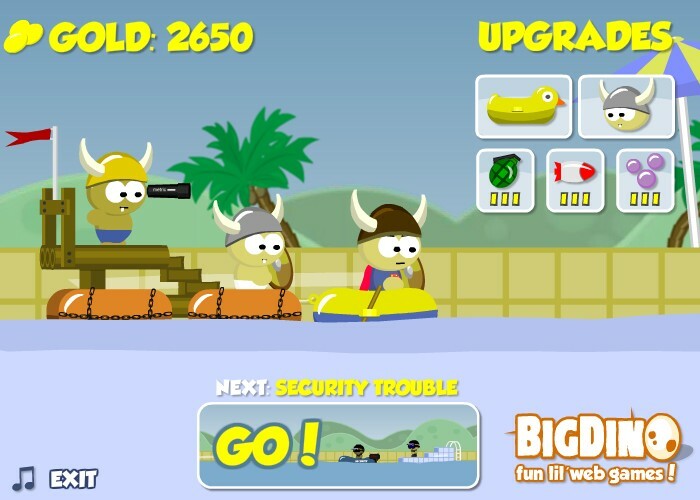 Your raft can also be upgraded to allow for better protection from enemy attacks. In addition to the improved graphics, more ammunition and defensive armor options, Raft Wars 2 is pleased to announce that players all over the world can enjoy the game from any computer, anywhere. Many players have complained that they couldn’t play the game on their school’s computer, or work computer, for various reason. Now, you can in this unblocked version! Enjoy!